We are happy to inform you that we will embark on our next European quest in April. 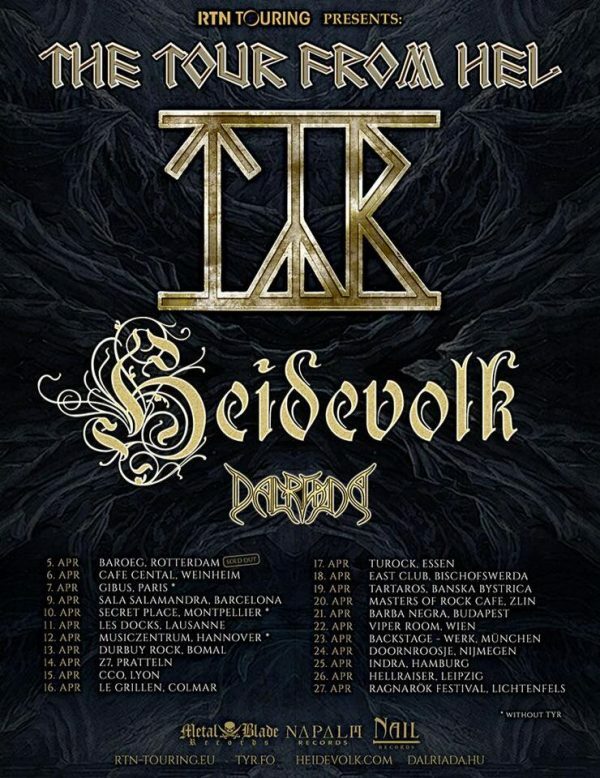 We will join our friends TYR as a co-headliner and wreak pagan metal havoc across Europe. 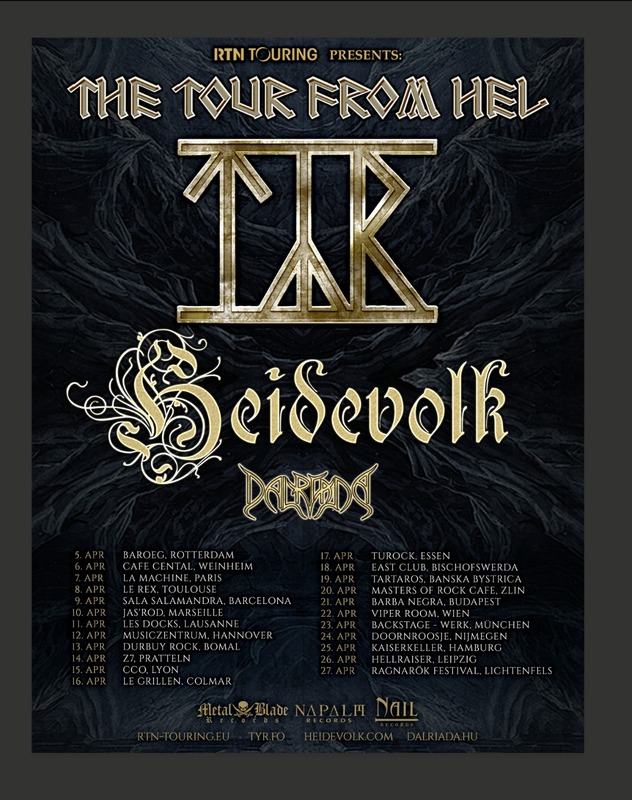 We will guide you through ancient battle fields and mead-filled drinking halls with songs of “Vuur van Verzet” and previous albums. Get your tickets now and join us!